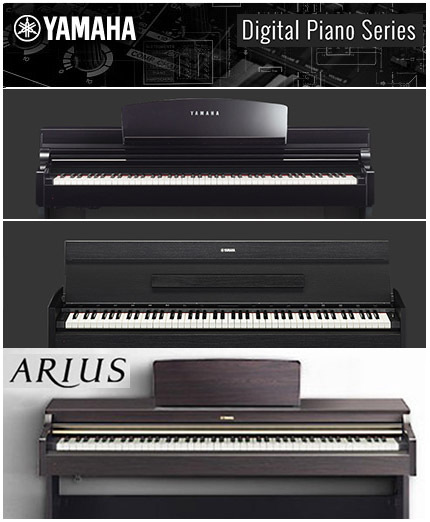 Piano & Instrument Store /Shop and Showroom Digital and Acoustic Piano in major brands, especially the best and the finest from YAMAHA, KAWAI, etc. Music Book Store We collects and sells various music books and scores from worldwide publishers, such as G. Shirmer, Alfred, etc. For piano learning, we have most famous complete series method from John Thompson, Bastien, Piano Adventures, Alfred's Basic Piano Library, Suzuki, etc. We provide discount for the local Music teachers and Educators. Please contact us for your specify need. 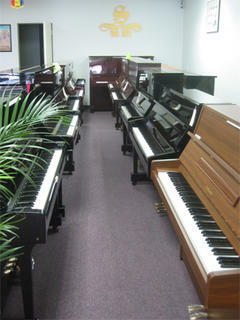 Instrument Store We're proud to be the local YAMAHA dealer carrying high quality brand named products from YAMAHA. We also carry most of the student instruments from Hamanicas, Recorders, Flutes, Clarints, Trumpets, Saxophones, Practice Drum Pads, Student Violins, Acoustic, Electric and Bass Guitars, to Digital and Acoustic Pianos from various brands. We're now buy back your used-instruments, such as Guitar and Violin; So you're welcome to bring in your instruments to us for evaluation. Accessory Store Brooklyn Music House provides professional technician to maintain and fix your instruments. We carry various accessories at our store, such as Metronomes, Music stands, Guitar case, Woodwind reeds, Strings, Violin shoulder Rest and much more .. Our knowledgeable personel on site provide you the help in finding your need. For maintaining your piano in the international standard tuning system of A=440, we strongly recommend tuning your piano every six months. Brooklyn Music House provides our experienced professional piano technician to tune, maintain, and fix your piano, and also provide you with the information on how to correctly take care of your piano. Please schedule for the next Piano Tuning in advance. Daily Practice is very important for students, especially for the beginner, so we provide practice room FREE for the new sign-up students. Thereafter, our regular piano practice room and Grand Piano* Exam practice room rentals are available to accommodate your need for either the Daily Practice, Music Recital Practice or Exam Preparation. From Guitar, Violin, Viola, Cello to Flute and Clarint, Saxophone, we provide Instrument Rentals for in-school and outside Students. During the rental period, we provide Free up-grade in instrument sizes and necessary service as need on your rental instruments. Please contact us for the availability of the instruments and sizes for your need. No worry if you don't know the right size to fit on your child, we have the professionals to measure the size for you at no cost. We provides professional technicians to maintain and fix your instruments, such as Guitars, Violins, Viola, Cello, and as well as Woodwinds, at our two convenient locations. Repairing service included, instrument setup and adjustments, cleaning, changing strings, and cracks and parts gluing works in a resonable cost to you. All kind of questions that you may have about music learning and education for your child/children, we can answer you! When should I let my child start learning music? What instrument should I first introduct to my child? What should I do if I don't have an instrument of my own yet? How often and how long should my child practice the instrument after start learning? When should I let my child start taking the Music Graded Exams? 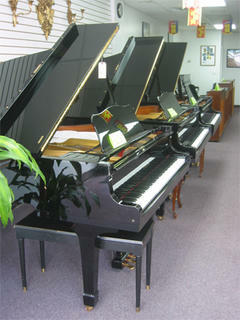 What should I do when my piano or instruments are not in tune or have a problem? ONE stop providing you All services and solutions to all of your concerns reqarding to your child's Musical Learning. -> Our Tuition Price of the lessons in different instruments and categories are subjected to be changed according to the need. PLEASE visit one of our School locations, we can beter assist you for your more specific need.